Not so long ago, refugees actually managed to use the fingerprint left behind in Hungary in order to travel on “more safely”, because then they were “only” under threat of deportation to Hungary from where they set off again. It was not that difficult to escape again, even from the closed camp in Békéscsaba. Although they were under guard by security personnel and dogs, some succeeded in fleeing on. However many were later deported back to Hungary under the Dublin Regulation – some of them 2-3-4-5 times, stolen months, sometimes years in which no progress was made towards papers. Now, the loopholes in the Hungarian migration regime are (apparently due to European pressure) closed by the implementation of a tougher detention policy. 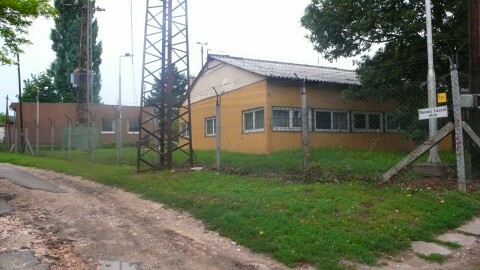 Nyírbátor and Kiskunhalas are regarded as “horror prisons” among the refugees. 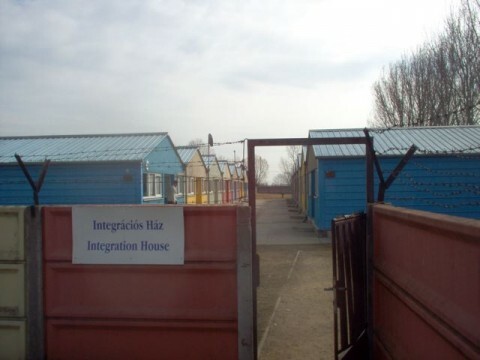 And while the additional 11 detention centres are temporarily closed again, as the main arrival time was in the summer, at the same time the capacity of these prisons is being increased. 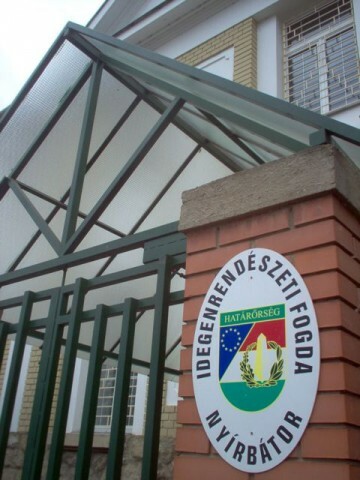 The Nyírbátor detention facility was expanded from originally 169 to 278 places. Detention conditions were extremely bad: limited access to phones (only 5 minutes per day). one hour access to the yard per day, sometimes even this one hour is not goven and there is no or almost no out-of-cell/association time. The buildings are now to be refurbished with EU money, gym and prayer room are to be built. With the summer having been the main season for protests and revolts in Hungarian deportation prisons (also because of the very crowded prisons), refugees report that since that time, sleeping pills and tranquillisers have been used with aim to sedate the detainees, in particular in Nyírbátor. As a result, all refugees transferred from this prison to Debrecen in the last 3-4 months were noticeably depressed and sleepy. Many try to continue to get “head tablets” from the camp doctor. The denial of these drugs made people aggressive, these are obviously strong drugs which cause withdrawal symptoms when discontinued. “They started to use this method, because there was more and more trouble inside the prisons, the more people they put inside. Everybody has to take these tablets in Nyírbátor!” explains Reza (name altered) – and tells of his friend who wanted to refuse the tablets because he was not ill and as a result was severely beaten – until the tablet was swallowed. There are, at least, individual cases we know of where minors have been (illegally) detained after deportation as well (see http://w2eu.net/2010/10/26/hungary-imprisons-minors-after-dublin2-deportation/). However, in many cases their dates of birth were altered prior to this (and sometimes only afterwards!). It has been reported several times that youth are subjected to medical age determination (x-rays and dental examinations) when they first arrive in Hungary, then most of them leave the country once they have been transferred to Bicske. After deportation from other European countries, on the basis of a visual check, the age is altered (occasionally by the same doctor!). That way, young people registered initially as 16 years old sometimes age by at least 2 years within a six-month period and are then 19 years old after visual examination. Refugees tell us that these are not isolated cases. Among them are young people, who have already been in 3-4 other European countries and, on the basis of all sorts of age determination methods, have been registered everywhere as minors. More attempts could be made to halt deportations to Hungary in individual cases, under reference to the serious risk of a further detention period of several months (especially in the case of traumatised refugees). We should not only keep a close eye on the inhumane detention system, but rather document the protests of the refugees in the prisons and make them public. In fact, the protest summer of 2010 in Hungarian deportation prisons seems to have caused quite a stir behind closed doors – but has remained largely unknown to the European public. As activists we have a big plus: We are part of movements, not of organisations. This is a great strength in this area because it gives us a head-start in terms of trust and makes it possible to really create links to migrants’ struggles in the camps and prisons of Europe. We do not depend on European funding, nor are we dependent on cooperation with authorities, etc – and this is probably the main reason why, time and again, considerable trust is placed in us. We should keep this strength in mind, in Hungary or elsewhere and predominantly develop these direct contacts and give those a voice, who have to face deportation and the harsh detention regime every day. 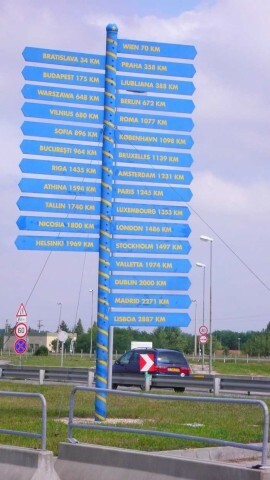 Regular visits (not only) to Hungary in order to listen directly to the voices of those who had to go through the Hungarian detention system would certainly be useful, similar to those we established by means of the Infomobile in Greece.